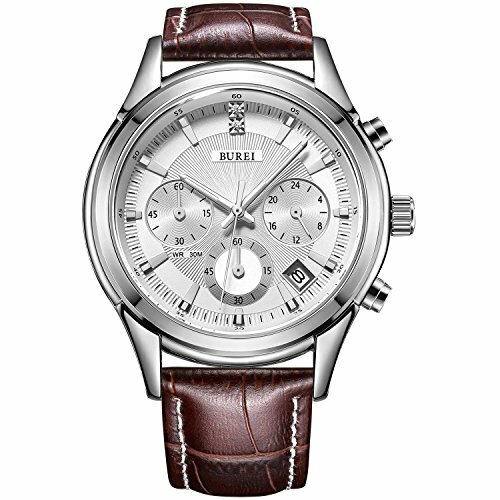 I have been focusing on affordable watches lately, covering brands like Forsining, Skmei, Smael and some others. There seems to be a lot of them, and sometimes it’s hard to know if they are worth your hard-earned cash. 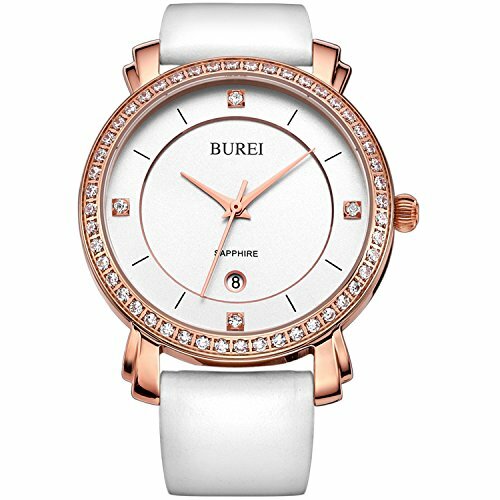 Burei is another of these brands that seems to be gaining in popularity and the reviews on Amazon have been very high so far. They produce watches that cover a wide range of styles from Rolex homages and stylish chronographs, to ultra-minimalistic pure black ones. So, in this detailed review I want to go into what each watch offers, the specs, the style and the pros and cons, to see if they are worth it. It is not always easy to compare when a company like this produces so many different models, so I have chosen the ones that are most popular and best reviewed on Amazon. That way, we have already weeded out the lesser purchased and lower quality models that you would not want to buy anyway. Of course, if you still want to check out there full range online, you can always do that after seeing what there best models are. 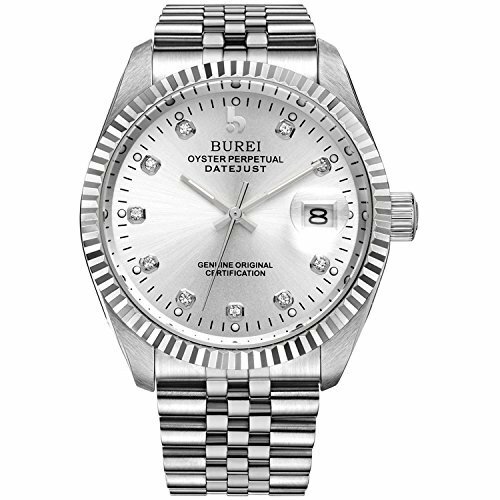 If you take a closer look at the picture, you will see straight away that this is a homage (aka copy, to a big degree) of the Rolex DateJust. 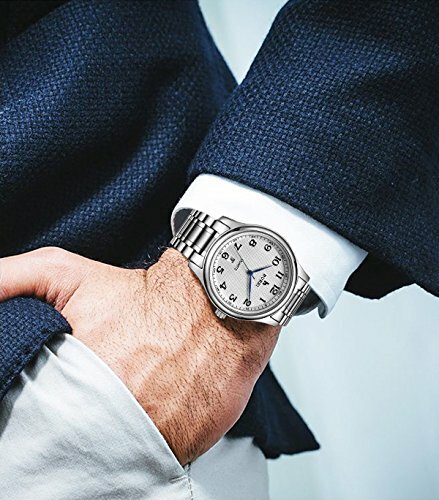 If this is the kind of watch that you always wanted to own, but just did not want to spend five grand on, then it’s a nice option. 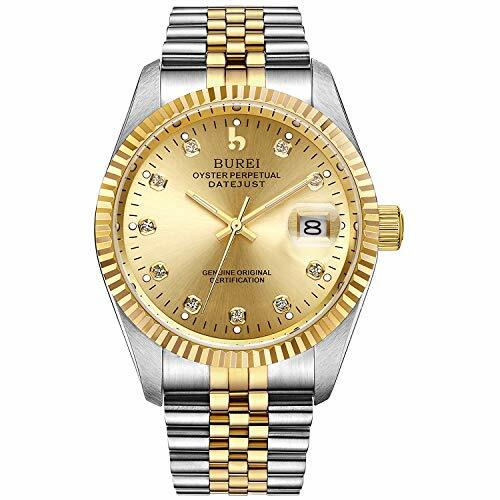 Like the Rolex it features an automatic self-winding movement, although this one is Japanese. The crystal is anti-reflective sapphire, which is a surprise at this price point. 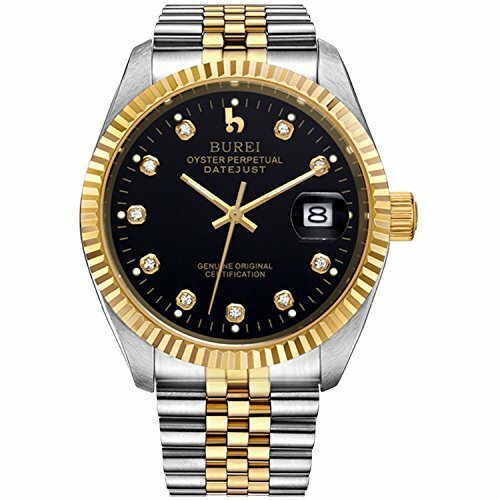 The steel band and case/bezel combination are a clear homage of the Rolex and are pure stainless steel (the Rolex has Oyster steel, their own, and 18kt gold). It also has the tell tale rolex cyclops date window to help magnify the date and make it more legible from a distance. And the hour markers are small crystals mimicing the original of course. 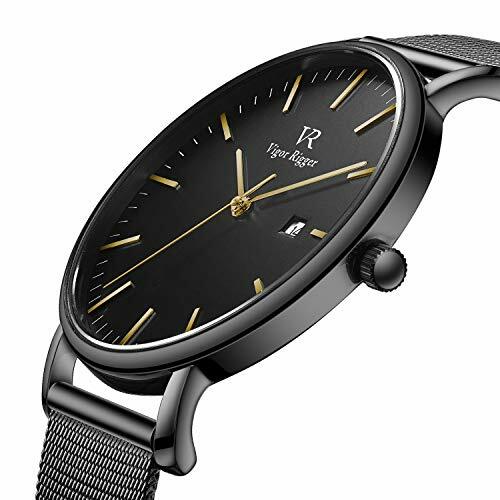 The last touch on this watch is that it has a exhibition back, a cool thing to see and show people who have no idea how an automatic watch works. 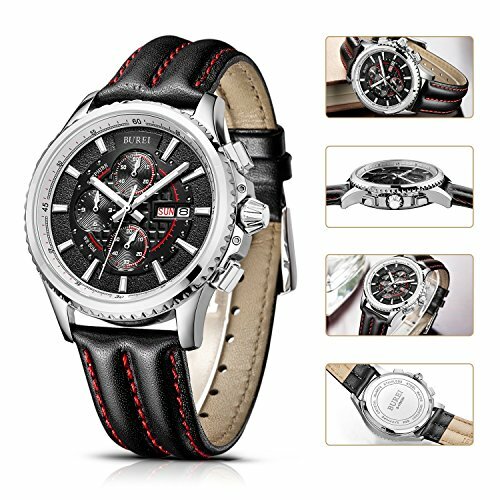 There are also a variety of colors for this watch which you can see (and click) in the images below. 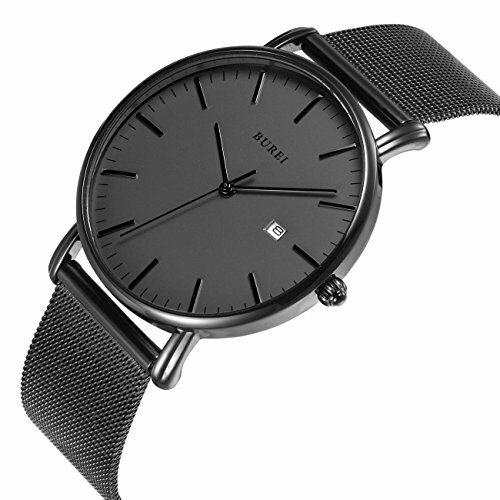 Moving from ultra-bling to the exact opposite, this minimalist style watch is the ultimate modern fashion piece. It will compliment almost anything you wear, and can accompany you to work or out on the town. 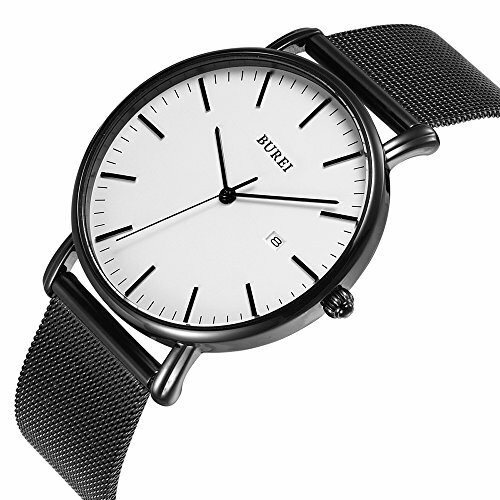 This nordic inspired watch features a quartz movement, so is extremely thin, and is attached to a fine-mesh steel band in the same color as the rest of the watch. It also features a small but still readable date window at 3 o’clock. The glass is scratch-resistant mineral, a decent option but certainly not sapphire. The price of this watch is also worth noting because it’s about 1/4 of the price of the DateJust homage above. So, it’s a great buy. 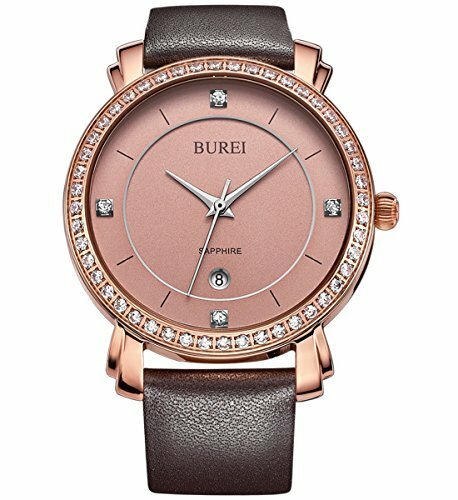 Burei also make some stunning women’s watches and this rose gold affair is one of their most popular. If you take a look at the image here, you can certainly see why! It’s ultra-slim and lightweight, designed especially for the ladies, featuring crystals at the four “corners” (3, 6, 9 and 12 o’clock) and a crystal-studded case to go with it. 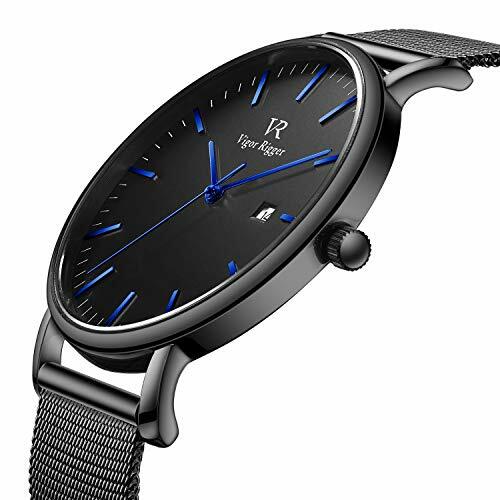 It also comes with a sapphire crystal and genuine calf-skin leather band, a nice touch to a stylish watch you will enjoy wearing no matter what time or occasion. This watch also comes in a white version, which you can jump straight to if you click on the image seen here. Chronographs are all the rage these days because they have so many cool sub-dials and a more modern look to them. 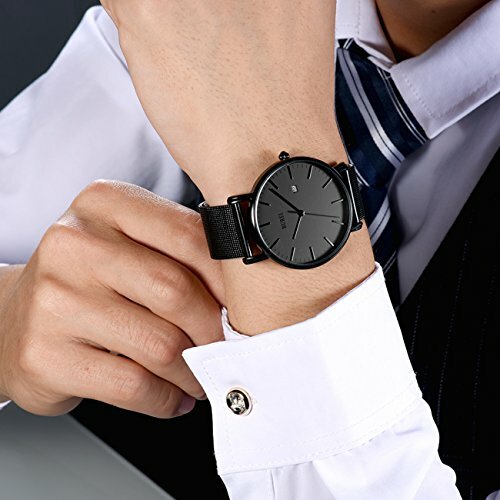 You can wear these kinds of watches in more casual situations, but they also look stylish enough to wear out on a date or to dinner. 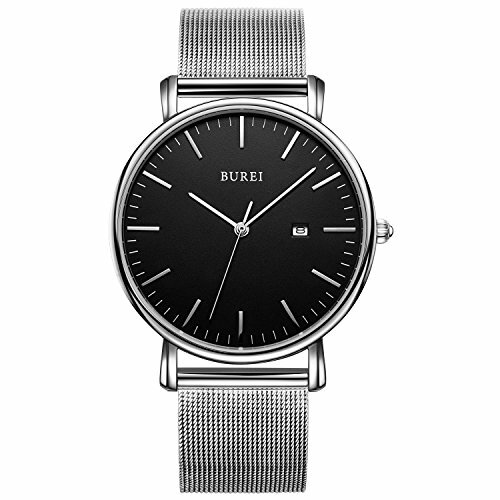 This model from Burei is super-modern with a cluster of 3 sub-dials around the center and a classic day/date window at 3 o’clock. 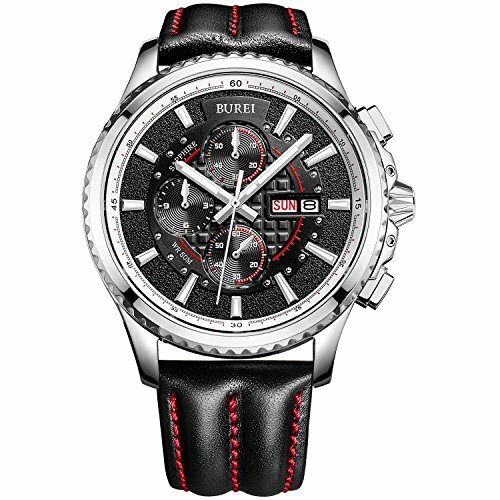 The black/silver/red color combination always works well for such watches, and Burei pull it off well here. On either side of the tapered crown you will see some squared off pushers for the 60 seconds/60 minutes/12 hours chronograph, which you may never use, but adds to the style of the watch nonethless. Material-wise this watch is well positioned with a sapphire crystal and stainless steel all around. The only disappointment to me is that it’s a quartz, but they are easier to keep running and maintain, plus way cheaper than automatics, so it’s not a huge deal breaker. 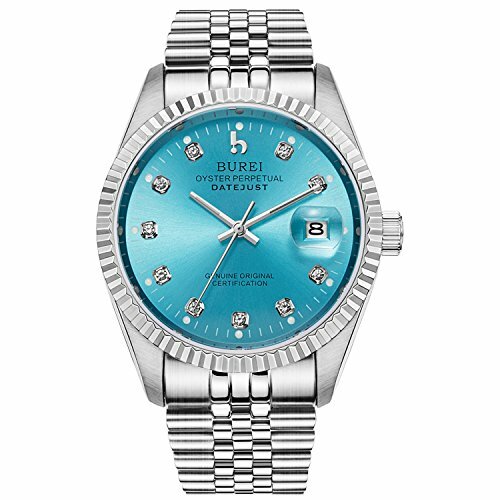 And if all-silver is not your thing, then this watch of course comes in a variety of colors and bands. You can see them down below. 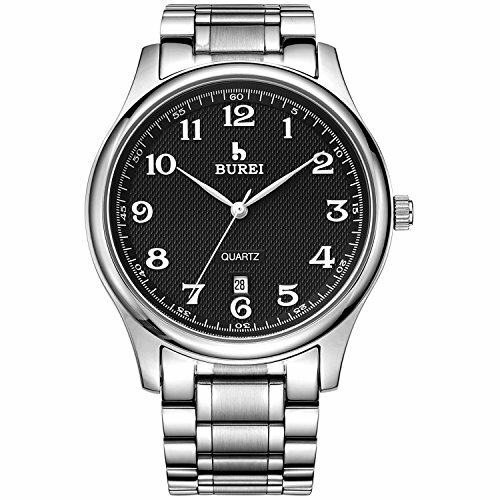 A far more simple quartz date watch from Burei, this will suit anyone who wants a little sophistication without a busy dial like the chronograph above. The dial is quite simple, with a patterned black backing, serif arabic numerals for the hours and minutes, and sword-shaped hour and minutes hands in silver. There is nothing on this watch that is screaming for attention. It is simply silver on black with a jubliee bracelet to match the style. It also comes with a white face, if the darkness of black is not your style, so you always have options.